I visit Kentucky, on average, a couple of times a year. Often it isn't the destination, but I find a way to make most of my Eastbound road trips route through it. I'd try to route the other road trips through there as well, but I haven't figured out how to frame the argument that Kentucky really is on the way to Colorado from Minnesota. Well, I'd probably still be a hermit. But I do think that my budget for the occasional special bottle or dram would strain a little harder than it does in Minnesota. What, with all the temptation and all. I think about things like this, like moving to a warmer climate, a lot at this time of year. Don't get me wrong, all things considered, I like Minnesota. But I hate winter. I mean I really hate it. And when the temperature dips, not just below freezing, but into the sub-zero range it gets a bit rough. (That's somewhere around -20 C for those of you who use that other measuring system). Today I had to bundle into boots, hat, heavy coat and gloves just to get the mail. That got me to thinking about one of the Kentucky-only bottles that I'd picked up on my last trip south and I decided it was time to take another look at it. Purchase info: $48.99 for a 750mL bottle. The Party Source, Bellevue, KY. Details: 59.6% ABV. Non-age stated. Nose: Rich with ripe cherries, cocoa nibs, herbal mint, and oak. Mouth: Peppery heat with caramel/vanilla, oak, JuicyFruit gum, cloves, mint, and anise. Finish: Long and lingering with fruit, mint, cinnamon, and anise. 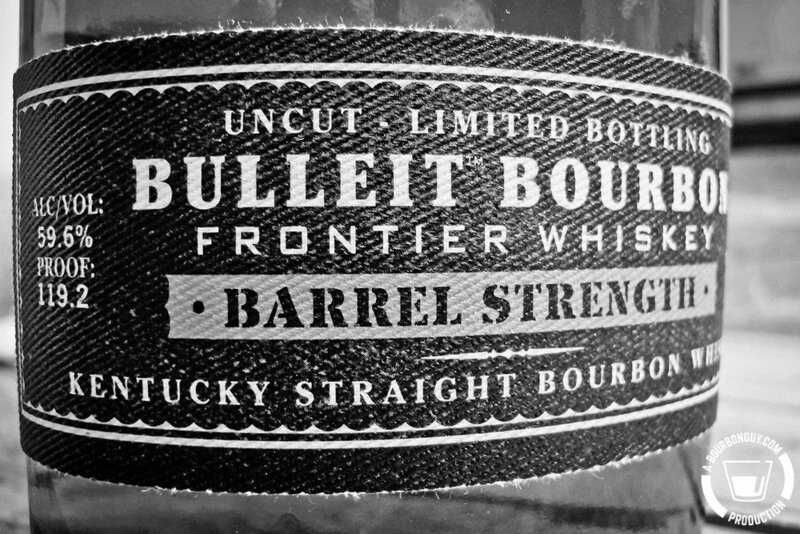 Thoughts: This is hands down the best whiskey in the Bulleit family. The more concentrated flavors from the higher proof really shine in the glass. Toss in a price in the $40-50 range and this is a real winner. I can't recommend this enough. Love this one.